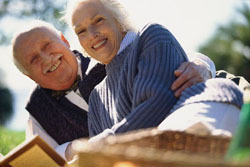 Planning for retirement is one of the most important and sometimes most neglected aspects of our financial well-being. Creating an accumulation strategy that will provide for you and your family's needs and wants can ensure the retirement lifestyle you desire. There are many ways to save for your retirement such as individual retirement accounts (IRAs), personal savings, and qualified employer sponsored plans. We can assess the most economical opportunities to take advantage of these various plans given your tax bracket whether you are an employee or business owner.